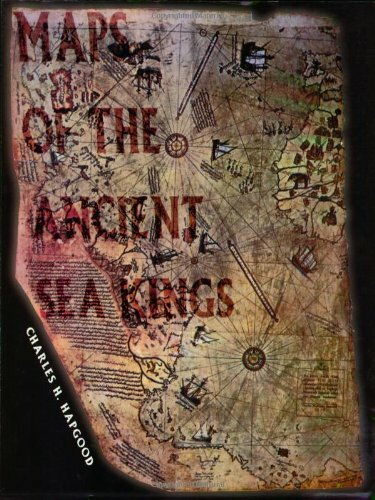 Charles Hapgood's classic 1966 book on ancient maps is back in print after 20 years. Hapgood produces concrete evidence of an advanced worldwide civilisation existing many thousands of years before ancient Egypt. He has found the evidence in many beautiful maps long known to scholars. Hapgood concluded that these ancient mapmakers were in some ways much more advanced in mapmaking than any people prior to the 18th century. It appears they mapped all the continents. The Americas were mapped thousands of years before Columbus. Antarctica was mapped when its coasts were free of ice. There is evidence that these people must have lived when the Ice Age had not yet ended in the Northern Hemisphere and when Alaska was still connected with Siberia by the Pleistocene, Ice Age 'land bridge'.